Have you discovered drinking vinegars? 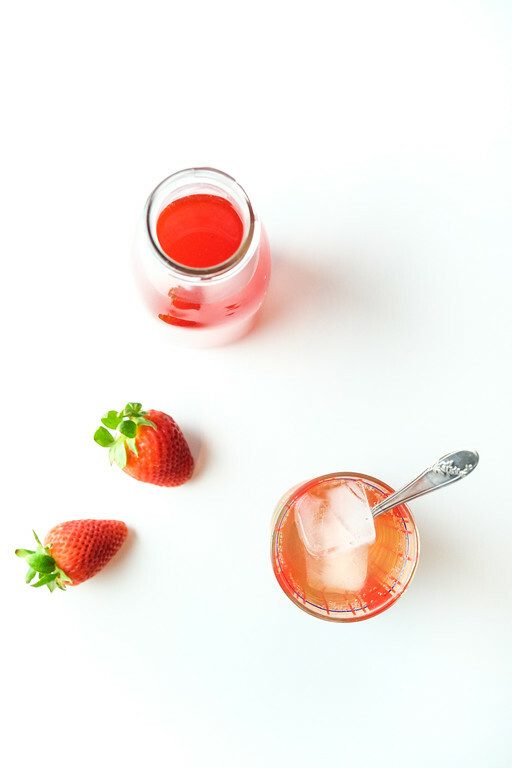 They are healthy and delicious and this strawberry lime shrub would be the perfect shrub drink to start with! What is a drinking vinegar? You might be asking yourself, “What is a drinking shrub or a drinking vinegar?” They are not be confused with shrubbery found in your yard – and bonus points to you if you are saying “shrubbery” with a Monty Python-ish accent! Drinking shrubs are a delicious old fashioned drink. They are made up of fruit, maybe herbs and spices, sugar and vinegar. They are also sometimes called drinking vinegar. A couple of weeks ago I made a Blueberry Shrub. 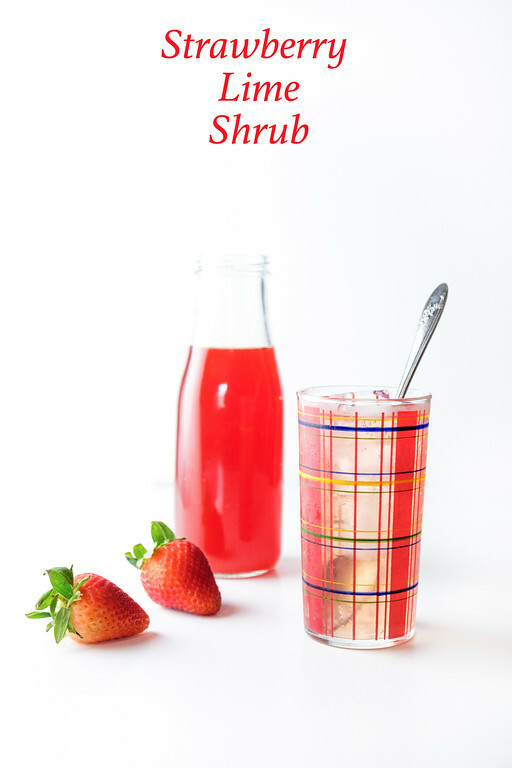 I loved it so much that when strawberries went on sale this week, I knew I would be making a strawberry shrub! 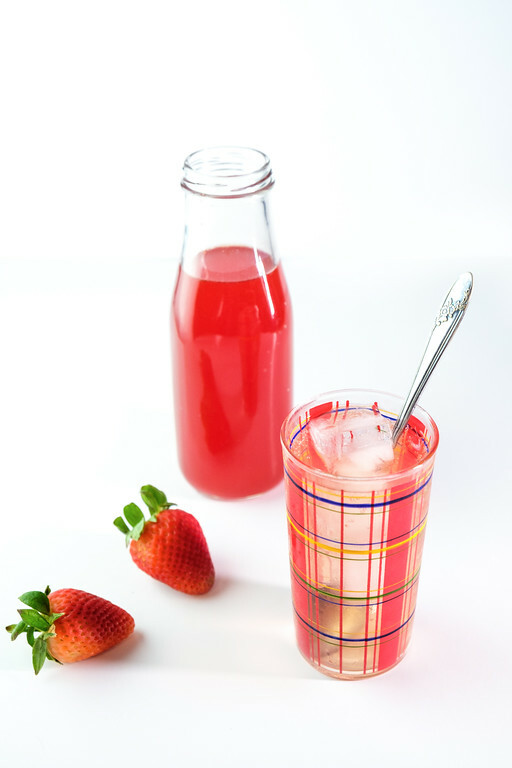 Click here to pin this Strawberry Lime Shrub. How to make a drinking shrub. Shrubs are so easy, which you know is tops on my list for why I try a recipe. Time does most of the work. You simply cut up your fruit, mix with the sugar, let it rest on the counter for a couple of days, add the vinegar, stir it up and strain. That’s it. Then you store your jar of drinking shrub goodness in your fridge. There are different ratios suggested for your drinking shrub. On the blueberry shrub I did 1 cup blueberries, 1 cup sugar, 1 cup vinegar. For this shrub I did 2 cups strawberries, 1 cup sugar and 1 cup vinegar. Then to add a little extra zing, I used the zest from one lime. I think I like this ratio better, it’s a little more fruity and the vinegar is less pronounced. What to do with a drinking vinegar. 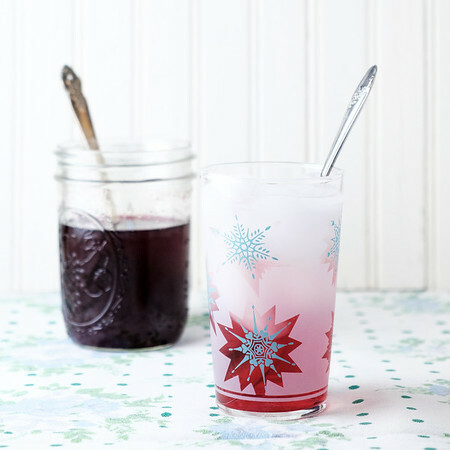 Once you have your sweet tart shrub in the fridge, now the extra fun part comes in. You can use it in so many ways. I love it mixed with sparkling water for a refreshing drink. You can also use it in cocktails (I’m working on some right now!) or in salad dressings! There are probably even more uses, leave me a comment and tell me how you use your drinking shrubs. To make your shrub you need: a strainer, a bottle to store it or long tea spoons. 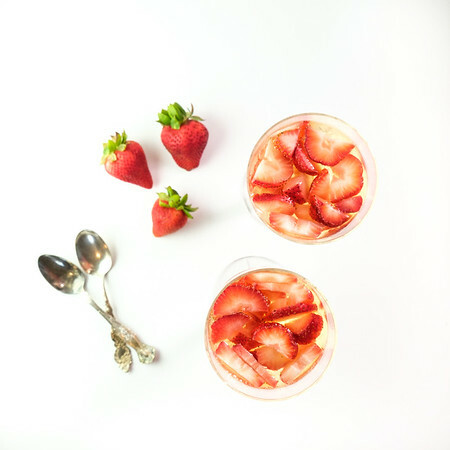 This refreshing old fashioned drinking shrub is filled with the sweet tart flavors of strawberries and lime! 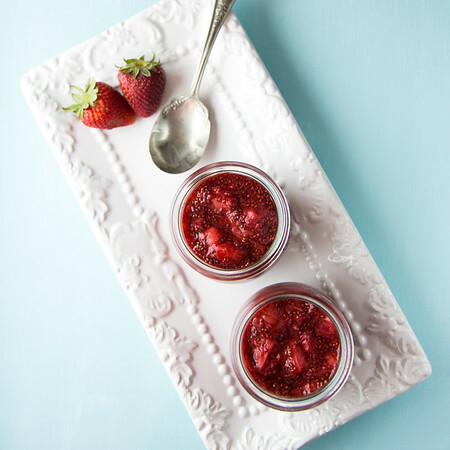 Place the strawberries, sugar, and lime zest in a sterilized jar, muddle the strawberries with the sugar. Loosely place a lid on the jar. Let it sit on your kitchen counter for two days. Add the apple cider vinegar to the jar and stir to combine. Strain into another jar using a fine mesh strainer. Store the covered jar in the fridge. A typical serving is 3 tablespoons. Needs to age for a couple of days on the counter. I was just wondering when you add the lime zest. Is this before or after it sits out? Thanks! Good question!! I forgot to include that. It sits with the strawberries and sugar! Scheduled to Pin, Pam! Your Shrubs look delicious! I am hoping to make some soon. My husband and son love ‘squash’ a peculiar British flavoured concentrate (generally fruit flavoured) you mix with water. It’s full of preservatives and I’m not a fan. I’m hoping to convert them to these delicious fresh shrubs. Although shrubs have sugar, they are natural! Plus they are so versatile. Thank you for sharing this recipe with us at Hearth and Soul. Hope to ‘see’ you again this week! The vinegar in this intrigues me greatly.